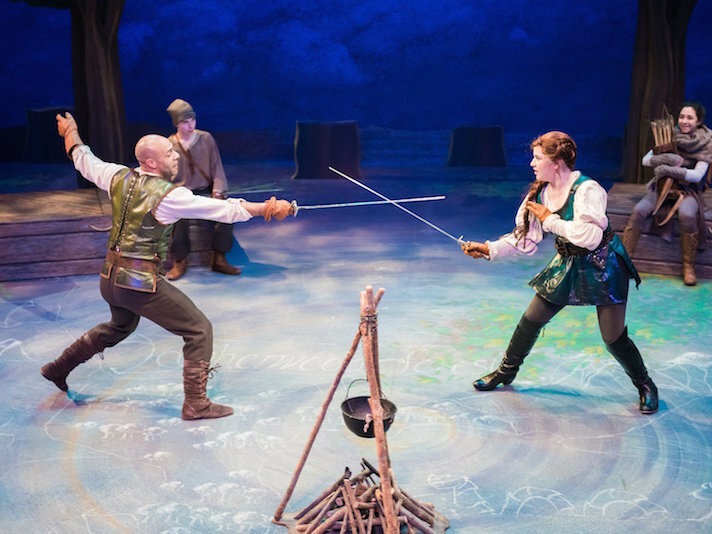 "[As an] attractive and swashbuckling Maid Marian...the powerful and playful Babich fences with her fierce feminine mystique and extols confidence"
"Allie Babich brings powerful, earnest vocal deliveries to the title role, simmering with defensive anger while clinging to naïve hope for an impossible solution. Her personal confrontations and growth are both believable and quite moving." "...an ensemble of great fluidity pirouettes around the luminescent performance of Allie Babich as Violet..."
"With her sweet soprano voice and fresh-scrubbed appearance, Allie Babich looks and sounds like the ingénue that Dottie is, and Babich has the good sense to recognize she therefore doesn't need to overdo the wide-eyed innocence that she naturally embodies."